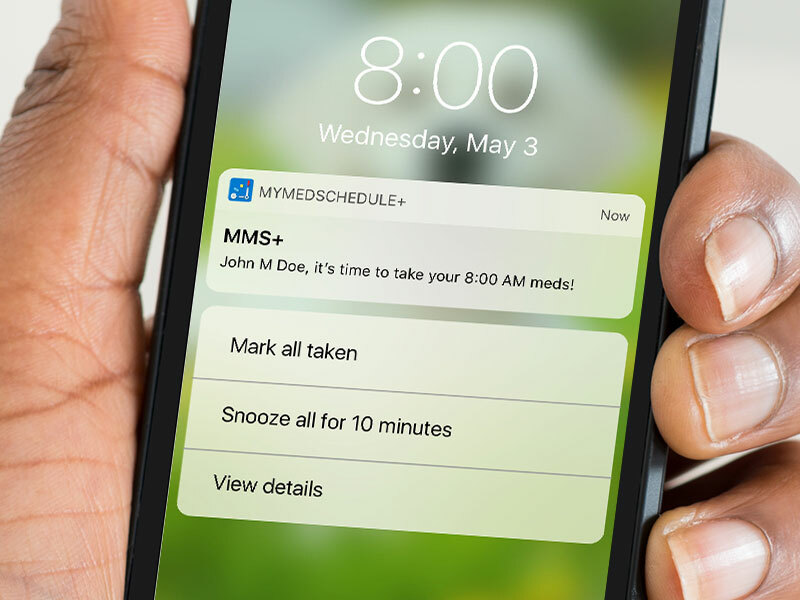 Engage patients where they are in their preferred method of communication via MyMedSchedule® Plus, SMS, or Voice. Use MedActionPlan to send medication schedule updates and reminders for even the most complex medication schedules. 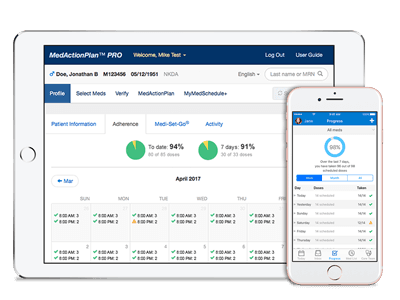 Monitor your patient’s progress in MedActionPlan Dashboard. Patient Connect and the MAP Dashboard are currently in beta testing. Please contact us to learn more or check back at a later date for updates on availability. The provider dashboard also allows healthcare providers to monitor patients’ adherence progress and engagement from MyMedSchedule Plus, SMS, and Voice reminders. Connect with patients via MyMedSchedule Plus, and also see medications added, removed, or updated by the patient, caregiver or other providers.